Living in a utopian world devoid of sadness sounds appealing, doesn’t it? 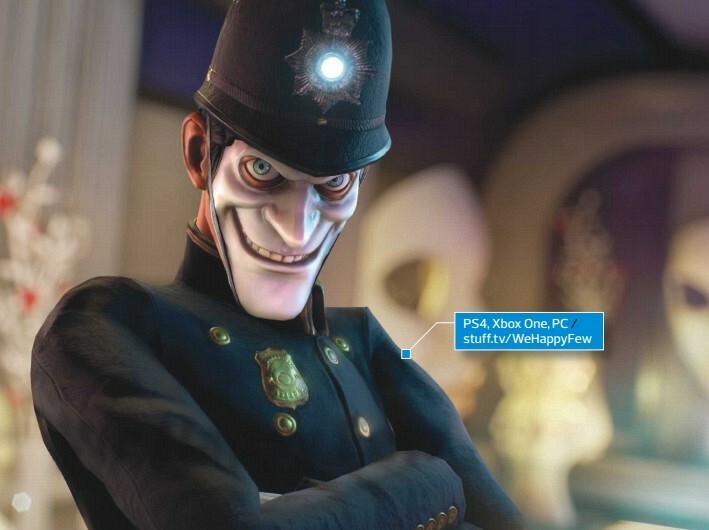 In We Happy Few, you’re contented at work, everyone is kind to each other and your football team never loses. Well, that’s how it seems on the surface. In reality, a drug called the ‘joy’ pill is causing hallucinations that disguise everything nasty. You may think you’re gobbling up pinata candy, but that’s actually the innards of a decaying rat corpse. Bon appétit!